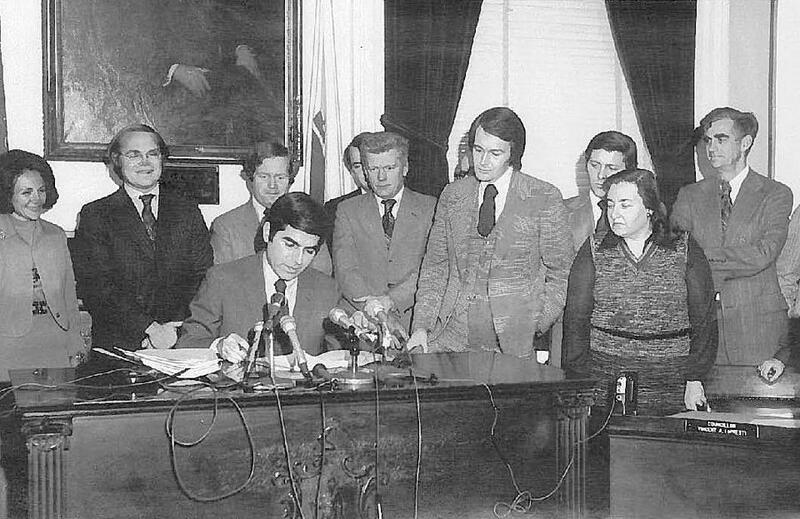 Edward Markey, with Governor Michael Dukakis signing the judicial reform bill Markey had championed. In the annals of political break-ins, it was hardly Watergate. 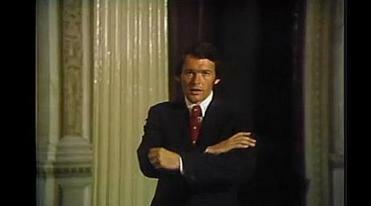 But sneaking into the Massachusetts State House with a camera crew on a summer Sunday in 1976 proved to be a pivotal moment that launched Edward J. Markey’s long career in Washington. Once inside the quiet State House, Markey and his congressional campaign team pushed a desk into an empty hallway and shot a television commercial that catapulted Markey — an obscure 29-year-old state representative — to the forefront of a 12-person Democratic primary for the US House. Markey was recreating an episode that illustrated his defiance of powerful House leaders, who had ordered the furniture removed from his office in retaliation for his sponsorship of a court reform bill leaders had tried to quash. That campaign spot remains legendary within Massachusetts political circles for its sharp and defiant message. Perfectly attuned to post-Watergate, post-Vietnam yearnings, it marked the moment when Markey’s political ambitions kicked into overdrive, carrying him from his working-class Malden district into Congress. “The bosses may tell me where to sit. No one tells me where to stand,” Markey said in his campaign ad. To reject US Representative Edward J. Markey simply because he knows how to get things done wouldn’t be a blow against congressional dysfunction; it would further it. “It was a period of intense political dynamism,” Markey said. Markey had entered politics, campaigning for the State House as a Boston College law student in 1972. Though a proud Irish Catholic inspired by John F. Kennedy, he spurned the tribal politics of Beacon Hill and defied the older Irish establishment that ran the state’s political machine. Markey opposed the Vietnam War and avoided the draft and overseas deployment by attending college and law school and enlisting in the Army reserves. The only jobs he would ever hold outside of politics were summer gigs as “Eddie the Ice Cream Man’’ selling Fudgsicles and Beatle Bars out of an ice cream truck and a stint as a substitute teacher. A frame grab from Markey’s famous 1976 campaign ad. Markey, who is running in the Democratic primary to fill the Senate seat left vacant by the elevation of John F. Kerry to secretary of state, was born in an Irish Catholic neighborhood of Malden, in 1946. His father John E. Markey, whom Markey frequently invokes on the campaign trail as a hard-working milkman, eventually worked his way up to assistant manager of H.P. Hood and Co.’s foods division. Together with his wife, Christina, they raised three boys, including Markey’s twin brothers Richard and John K., born just 13 months after the congressman. 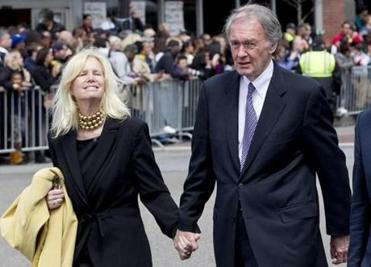 Markey lived with his family and commuted to Boston College and Boston College Law School, where he earned degrees that made him a “Double Eagle,’’ a valuable credential in Massachusetts politics. 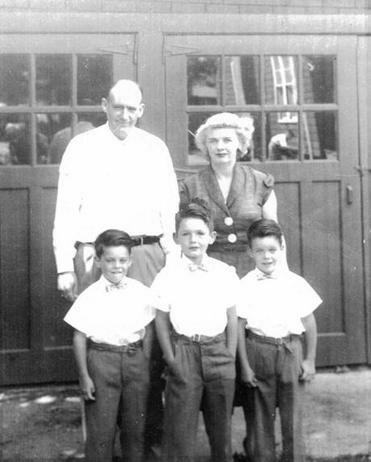 The Markey family in 1952: Edward flanked by his brothers Richard (left) and John, with their parents, John and Christina. But it still came as a shock to his family when he came home one day in the third year of law school and announced he would run for office. “No one knew that Ed harbored these secret ambitions until that spring night,” Richard Markey recalled. His family laughed, and Ed Markey stormed out in anger at not being taken seriously, Richard recalled, though Ed Markey denies he had that reaction. Markey’s mother had little regard for politicians and bragged that she’d never asked one for anything. She hoped her oldest son would use his education “for something better,” Richard Markey, an attorney in Charlestown, recalled. But anti-Vietnam War fervor swept through Boston College during Markey’s junior year. The Catholic college was not wracked by mass demonstrations or campus strikes at first. Students mounted subtler forms of protest, including no longer wearing jackets and ties to class. The doubts about authority there echoed the rest of the country, however, and grew as students saw neighbors go off to war and die. Markey and his brothers avoided that risk, winning acceptance into the Army Reserve, where they processed paperwork in a South Boston office rather than face deployment in Southeast Asia. The Army Reserve served as refuge for the lucky, and in some cases, the well-connected. Markey’s unit included Thomas P. O’Neill III, son of the House speaker, who later served in the state Legislature with Markey before becoming lieutenant governor; and Steven Grossman, the current state treasurer whose uncle ran a congressional campaign for Robert Drinan, an antiwar Jesuit priest. 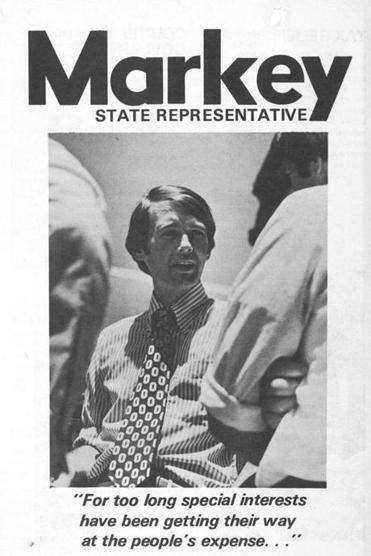 Markey first ran for the State House in 1972. Ed Markey and his brother John said the representative never considered Canada. Ed Markey said he would have gone to Vietnam if he had failed to win a spot in the reserve and been drafted. Markey’s campaign said he did not receive a draft notice until after he became a reservist, meaning it did not apply to him. All three Markey brothers said they received no special help in securing their reserve positions. They just persisted until finally finding a spot. “You just went from reserve unit to reserve unit to see if they had an opening,” Richard said. Ed Markey said his family “didn’t know any political leaders, business leaders, or any other prominent leaders” who could have helped them get into the reserve. Markey landed a spot with a New Hampshire Reserve unit, and then transferred to Boston, earning the rank of specialist, fourth class before his discharge, he said. His duties were limited to several months of training in Texas and Arizona, meetings in South Boston once a week, two days a month of clerical work, and two weeks of summer duty. The Globe obtained a two-page synopsis of Markey’s Army Reserve records from the National Personnel Records Center, which shows he was discharged nearly a year before his six-year commitment ended, though such early separations were not uncommon by 1973 as the Army’s needs diminished. Markey’s staff said earlier this month that he would also request his larger, complete file, but during an interview Wednesday, Markey said he had not yet made the request and would not commit to sharing his file with the Globe when he receives it. At least 48 members of Markey’s class of 1968 at Boston College did go to Vietnam, including six who died in action, according to an online repository maintained by the BC alumni magazine. One member of the class, Greg Bonner, now a marketing professor at Villanova University in Philadelphia, said he trained as an officer after his local draft board refused to grant him a deferment for an additional year so he could become a premed major. He served in the Navy, in the rivers of Vietnam. He knew people who secured spots in the reserve units, including a close friend who had no special connections. Grossman said he and Markey became friendly during reserve duty and were inspired by Drinan’s 1970 congressional victory over Representative Philip J. Philbin, an incumbent. Drinan was serving as dean of BC Law School during his campaign and drew help from students to pound home his antiwar message. During the campaign, the war protests grew louder and more disruptive. Markey’s first-year law exams were canceled as students around the nation went on strike after the killing of four Kent State students and the wounding of nine others by National Guardsmen during a protest. Markey began contemplating a run for mayor or state Legislature, according to his brother Richard and his friend since law school, James Segel. He sought out Segel, who had run and lost a state legislative race. Together in the yard and the cafeteria, they plotted how both would run for office, while still in their third year of law school, Markey and Segel said. 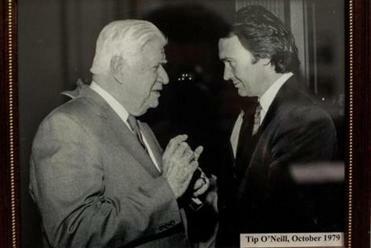 Markey has a photo of Tip O’Neill in his office. Markey’s family eventually signed on to the quest as Markey targeted an incumbent from his party, William R. Callahan, a well-liked figure in the community who was more than two decades older than Markey. Markey and his brothers set out to knock on virtually every voter’s door in the district. The slogan was fairly generic: A Chance for Change. Markey promised to work as a full-time legislator, rather than hold a second job, as many on Beacon Hill still do. He won a tight primary — 1,810 votes to 1,597 — before easily taking the general election against a pair of independent candidates. When Markey arrived on Beacon Hill, he joined what would become a legendary class of 1973 freshmen lawmakers, including dozens of young progressives elected on platforms of challenging the entrenched Democrats who controlled the State House. Markey was assigned a seat on the House floor next to the progressives’ unofficial leader, Barney Frank, already an intellectual force. Mel King, a boundary-breaking African-American lawmaker from Boston, sat nearby. And Segel, Markey’s law school friend, also became a leader of they called the Democratic Study Group. “We stayed together despite enormous pressure from the House leadership, the Senate leadership,” Segel said. The upstart lawmakers bucked the leaders to create a minority state senate district. They fought against cuts to human services. Markey served on the judiciary committee and sought to end a practice by which state judges also moonlighted as private attorneys — which raised the possibility of conflicts of interest. They also targeted the awarding of part-time judgeships, a valuable patronage tool. House Speaker Thomas W. McGee and the other leaders were furious when Markey rallied enough lawmakers to pass the change, despite McGee’s opposition. McGee stripped Markey of his committee post. Frank said Markey’s defiance was especially galling to House leaders, who were more tolerant of dissent from outside their tribe. Frank, Segel, and Lois Pines were Jewish liberals from the Back Bay, Brookline, and Newton. King and Doris Bunte were African-Americans from Boston. But even as some applauded Markey’s courage, others saw opportunism, especially when Markey staged a press conference in the hallway, to show reporters that his desk had been thrown out and his committee position stripped. As Markey developed a reputation for defiance, it became obvious he would not rise to a leadership position in the House. Meanwhile, Torbert Macdonald, the blue-blooded congressman whose district encompassed Malden, was ailing. Markey knew how rare open House seats were and was tempted to run, even though he had only been in the State House for less than two full terms. Eleven other people decided to take the same risk, making for a chaotic Democratic primary in a district where the nominee was almost assured of winning the general election. It included a well-connected member of the governor’s council, the mayors of Everett and Revere, a former Harvard football star from Everett, and Stephen J. McGrail, a state senator who was even younger than Markey. The district, which extended from Winthrop to Burlington, “was flooded with advertisements and bumper stickers and roof rack signs and billboards,” said McGrail, who finished fourth and years later became the state’s top emergency manager. It was, he added, “the most fought after seat for that year, at least, in Democratic politics, and maybe for the decade. Macdonald aide Joseph E. Croken, who had Macdonald’s Rolodex, family endorsement, and a 25-year history of helping constituents, came on late as Markey’s main competitor. Markey sought to blur ideological lines, taking socially conservative positions on abortion, school prayer, and busing, along with more liberal positions on almost everything else. He also developed a large field operation, fueled in part by the people he met while selling ice cream in Malden, Melrose, and Fenway Park. But his biggest gamble was producing a television commercial, considered by many to be a potential waste of money in a congressional race because audience in the Boston television market was far larger than the district. 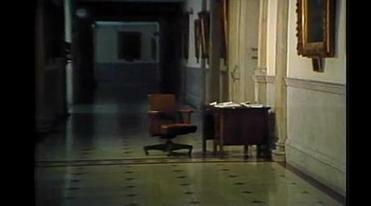 The desk-in-the-hall commercial, filmed on that Sunday in the State House, became the defining moment of the race. The clinching line was written by veteran political ad man Daniel Payne, in collaboration with Barney Frank’s brother, David, according to Payne. It also drew volunteers and donors to Markey’s campaign. Markey no longer had to explain who the candidate was. He was the guy with the desk in the hall. Markey raised about $80,000 for the primary, according to records, which put him among the top five candidates in the race. Even with the splash of publicity from the ad, it was hardly a runaway. Markey took 21 percent of the vote, or nearly 6,000 votes more than Croken, who finished second. On election night, McGrail ran into McGee, just as he was leaving his campaign party at Caruso’s Diplomat, the old function hall in Saugus.